Stone Brewing has brought the “Impossible Burger” to San Diego. This meatless burger joined the menu at both locations (Escondido and Liberty Station) in December and will be available for a limited time only. So anyone wanting to try it should get going before it’s gone. If you haven’t heard of the Impossible Burger before, it is a plant-based patty that is nearly indistinguishable from meat. While we haven’t tried it (yet), it is said to smell, sizzle, and have the same texture and flavor of a regular burger, but without the pesky hormones, antibiotics, cholesterol and artificial flavors found in regular beef products. One huge benefit of the plat-based alternative is that it uses 95% less land, 74% less water and creates 87% less greenhouse gas emissions than ground beef from cows. Stone is well known for its great beer and equally great food. 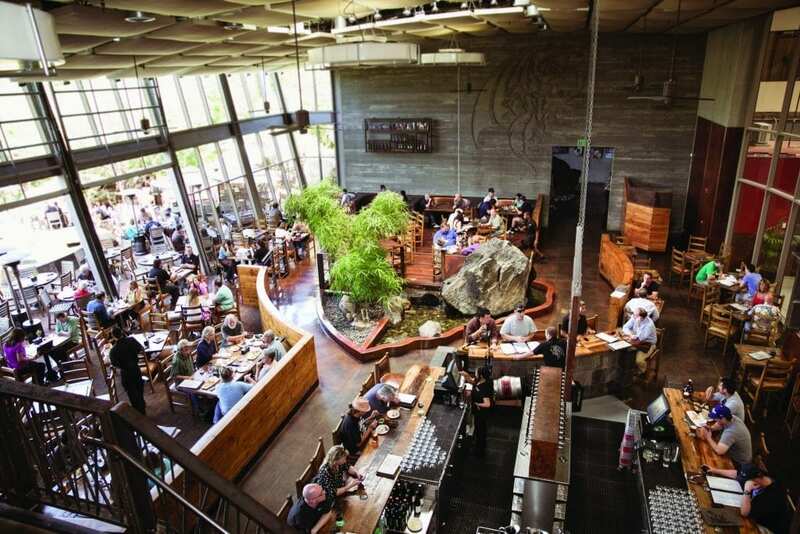 They have been recognized for their commitment to responsible sourcing of high-quality ingredients and for being an all-in-all really cool place to drink and dine. The Impossible Burger is the latest ground-breaking example of Stone’s commitment to quality and innovation, not to mention sustainability. The Impossible Burger brings the heat at flavor to the table. 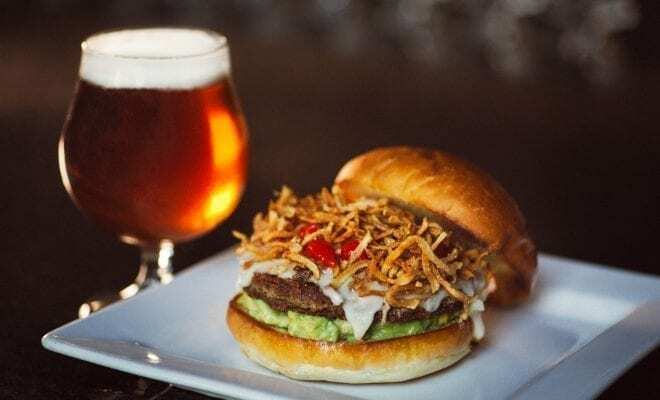 With smashed avocado at the base and sunchoke straws at the top, the Impossible patty is smothered in Hellfire Cheese (house-made Oaxaca cheese fondue with habanero and Thai chilies) and Peruvian peppers, all served on a brioche bun. The burger is served with a side of crushed baby gold potatoes with roasted garlic & ancho aioli. The Stone Impossible Burger is available for a limited time at both San Diego locations for $17. For more information on the Impossible Burger visit Impossiblefoods.com/burger and learn more about its special ingredient. For menus and location details of Stone Brewing World Bistro & Gardens – Escondido and Stone Brewing World Bistro & Gardens – Liberty Station, visit StoneBrewing.com/visit.